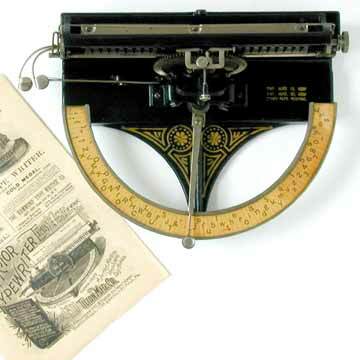 The Victor is first daisy wheel typewriter. Rubber type is placed inside the metal daisy wheel and pushed against the paper with a spring-driven hammer. The index pointer turned the daisy wheel when oved along the index. Inking by two small ink pads (see red pads in pic 6).